Mansfield Town manager Adam Murray says the injury to left-back Mal Benning is not as bad as first feared. It was thought that Benning, 21, could miss the rest of the season with cruciate ligament damage, but he could now be available in January. Murray told the club website: "We expected the worst when we got the scan results and the original diagnosis. "We thought it was going to be the whole season, if we're being honest. It's not as bad as we expected." 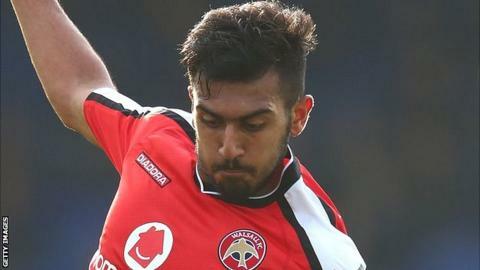 Former Walsall full-back Benning suffered the injury earlier this month against Bristol Rovers and he was expected to be out for several months. However, the club have confirmed that the defender does not need an operation. Murray continued: "We think we'll have him back January-time. He's got to be in a brace for 12 weeks, obviously Mal's young and he's very, very fit. "It's great news for the club, great news for Mal and it's great news for me."